The SG-1000 was Sega’s first awkward step into the home console landscape, but don’t be shocked if you’ve never heard of it until today. The console was only released in Japan, Australia, New Zealand, and select parts of Europe, and was successful in exactly none of them. Thanks to the Famicom’s impact, the glut of consoles/home computers on the Japanese market, and the overall crappiness of the device, the SG-1000 was a relative failure, even upon release. The graphics of the majority of the games look terrible next to Famicom releases of the same time (the SG-1000 has roughly the power of a Colecovision), and the SJ-200 joystick has been criticized for being “stiff and unresponsive.” Like other consoles of the time, the joystick has a short cord length and is tethered to the console itself. This meant that, should the controller break, it would be incredibly difficult to replace. Couple ugly games and bad controls with a lack of third-party support, and it was clear that the SG-1000 wasn’t long for this world. 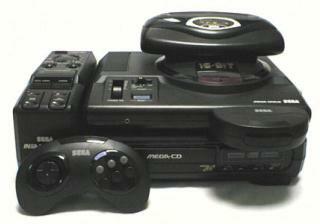 This didn’t stop Sega from trying to extend the console’s lifespan, though. In July 1984, Sega released the SG-1000 II in an attempt to right the wrongs of the initial iteration. The console retained the same internal components as the original, but had a number of external changes. Instead of a joystick with two buttons on the side, the controllers now resembled the Famicom’s with a D-pad, start and select, and two main buttons; they could also be removed from the console. Sega Cards still needed the Card Catcher, but the expansion port – primarily used for the SK-1100 keyboard – was moved to the front. My personal opinion: the original SG-1000 looks retro cool, but the SG-1000 II is the far superior console– though that isn’t saying much. The only reason the SG-1000 is historically significant is because it was Sega’s first console. Should the SG-1000 have been released in the first place? Debatable. The system was supposedly enough of a financial success for Sega to continue trying to gain market share against Nintendo’s Famicom. In hindsight, the release of the SG-1000 and its add-ons/second iteration now seem like the beginning of one of Sega’s nastiest habits in the 90s: selling untested experiments rather than fully finished products; see also 32X, Sega CD, Saturn, etc. Have I played an SG-1000 or SG-1000 II in the flesh? No, I haven’t. They are incredibly rare and expensive. Should you find and purchase one, you will not be able to play it unless you have a tube television that has an RF outlet. If you’re desperate to indulge in some SG-1000, uh, “goodness,” track down a Japanese Master System. The console is backwards compatible with both the SG-1000 cartridges and Sega Cards.